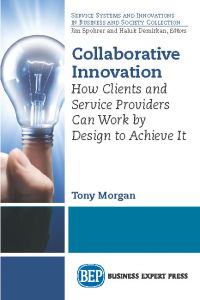 Tony Morgan has 30 years’ experience of working for and with client and service provider organizations. His roles at IBM have included industry technical leader, chief architect for large services engagements, innovation leader with a global client, and IBM Global Technology Services UK chief innovation officer, where he led a successful client facing innovation program. He co-developed and teaches a global innovation master class in IBM and works with external organizations and universities on innovation related topics. In 2016 he was appointed visiting professor in innovation at the University of Leeds by the Royal Academy of Engineering.